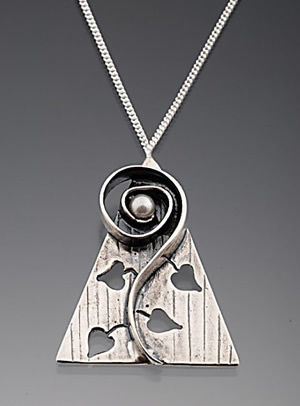 Description: This sterling silver pendant is accented by a pearl, engraved lines, dark patina and cut-out leaves which reveal the color of the garment worn under it. 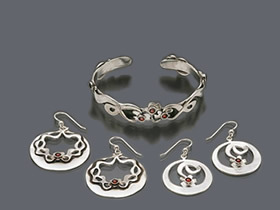 Price includes sterling silver chain. 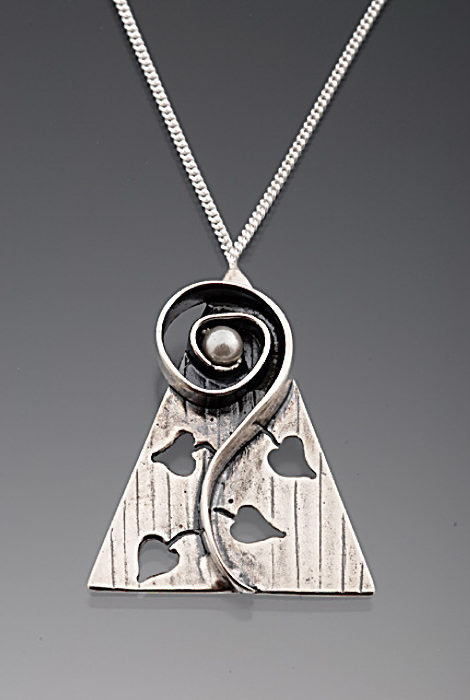 This piece of jewelry comes mounted on a card with a “reflection” printed on the back that reflects the spirit of the design: "Hope Flowering - Be ready to give abundantly and to receive the abundance of the universe."